Think Walt Disney World is just kiddie rides and princesses? Think again. Epcot is home to the World Showcase, which consists of 11 pavilions representing countries from around the world, including Canada, the United Kingdom, France, Morocco, Japan, the United States, Italy, Germany, China, Norway and Mexico. Think Walt Disney World is just kiddie rides and princesses? Think again. Epcot is home to the World Showcase, which consists of 11 pavilions representing countries from around the world, including Canada, the United Kingdom, France, Morocco, Japan, the United States, Italy, Germany, China, Norway and Mexico. At each pavilion, you can find attractions, dining, drinking and shopping relating to the country. 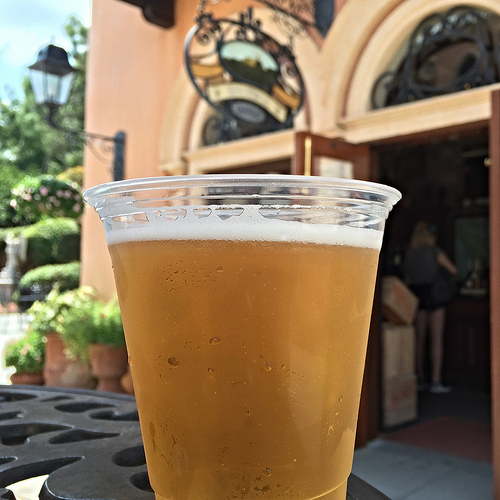 "Drinking Around The World" is the process of making your way around World Showcase while stopping for drinks and snacks in each country. 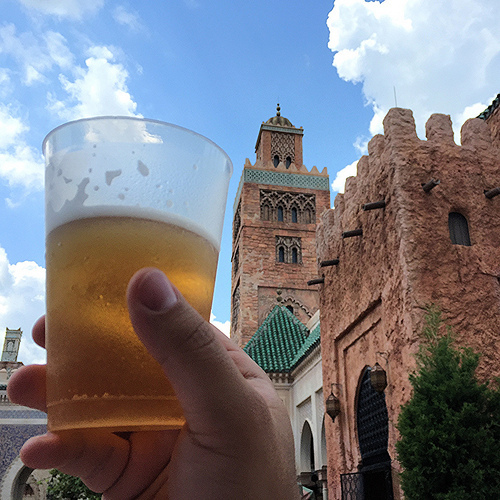 We took a trip "around the world" with members of the Bay Lake Society (@BayLakeSociety), a group dedicated to enjoying the moment and exploring Walt Disney World at a more leisurely pace, and came up with some tips. 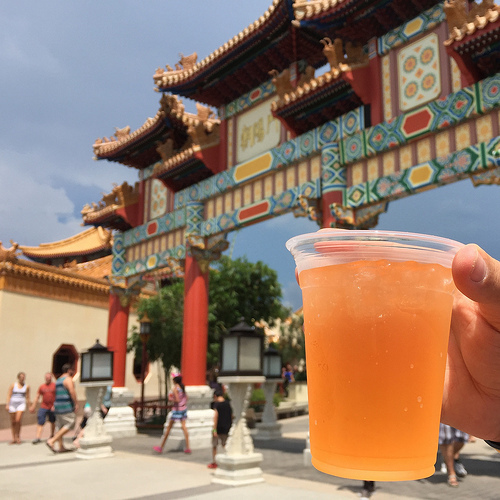 Here's your ultimate guide to drinking and snacking around the World Showcase at Walt Disney World's Epcot. 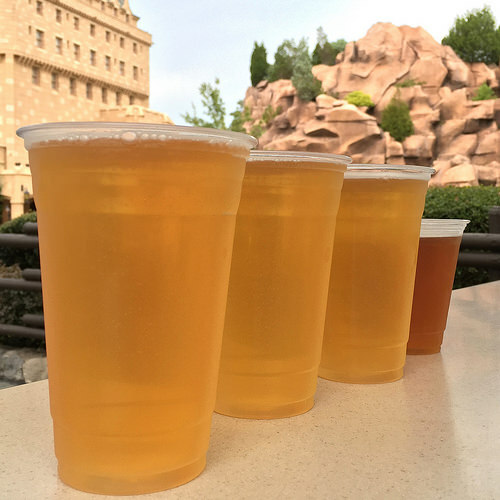 Drink: From the Popcorn Cart in Canada, you can find a wide range of Canadian beers like Labatt Blue, Moosehead, La Fin Du Monde and St. Ambroise Oatmeal Stout and Apricot Wheat. Eat: While Canada doesn't have a quick service restaurant, you can head over to the Refreshment Port next door and pick up a croissant doughnut dusted in cinnamon sugar. Insider Tip: If you decide to take a break and are looking for a great sit-down meal, Le Cellier Steakhouse is an excellent choice, but be sure to make reservations well in advance. If you go, order the Canadian Cheddar Cheese Soup or Poutine. Also, stick around for the Canadian Lumberjacks show on the stage between Canada and the UK. 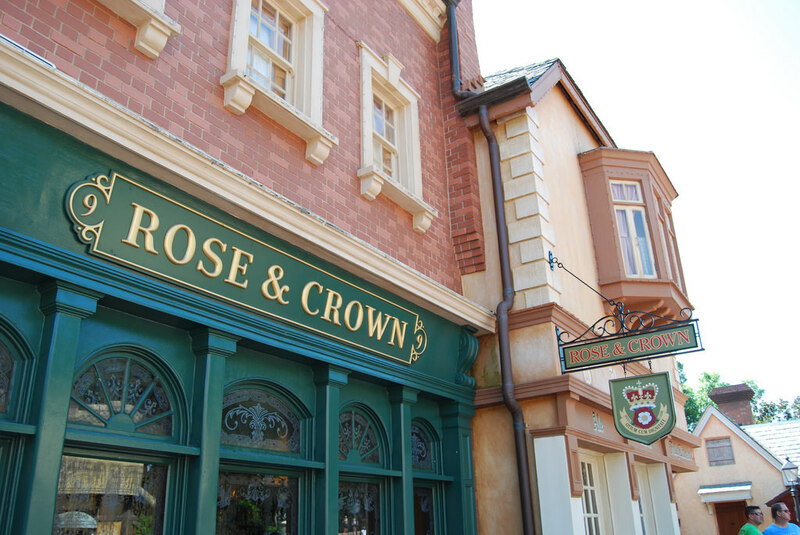 Drink: The Rose & Crown Pub is a full-service bar designed in the spirit of a local English pub. Best of all, the pub is air-conditioned. It's a fantastic spot to grab a specialty cocktail, like the Welsh Dragon, or a UK beer. 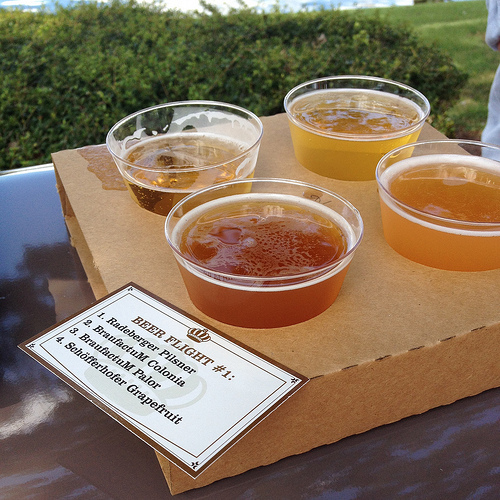 For beer lovers, try one of the pub blends like a Black-and-Tan. 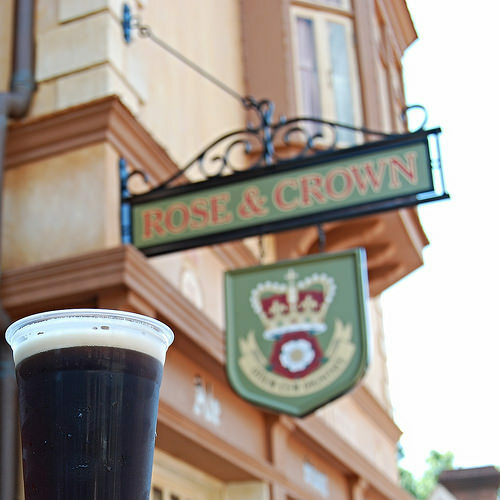 For a to-go drink, check out the UK Beer Cart next to the Rose & Crown Pub that features regional beers like Bass Ale, Innis & Gunn, and Newcastle. Eat: Head over to Yorkshire County Fish Shop for fresh fish and chips. 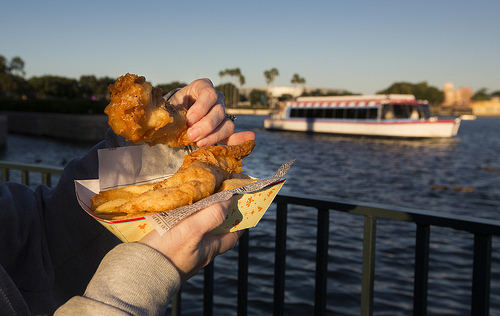 The seating area next to the fish shop offers a great view of the World Showcase Lagoon. Insider Tip: Looking for live entertainment? Find it tucked away behind the UK shops. The British Revolution band plays sets throughout the day. Drink: France has a lot to offer in the way of libations. 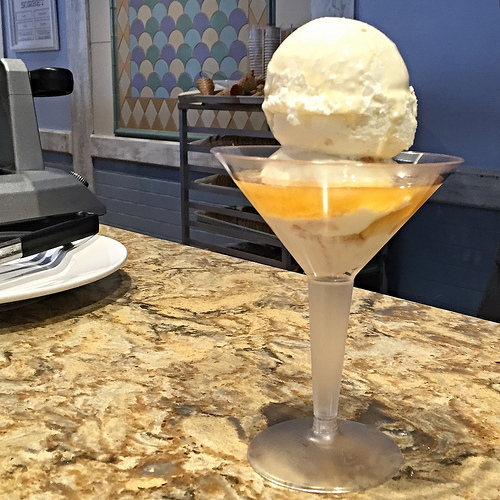 You'll find an Ice Cream Martini from L'Artisan des Glaces (@ArtisandesGlace) that's 2 scoops of ice cream with a shot of Grand Marnier, whipped cream vodka or rum. For beer lovers, France offers Kronenbourg 1664. 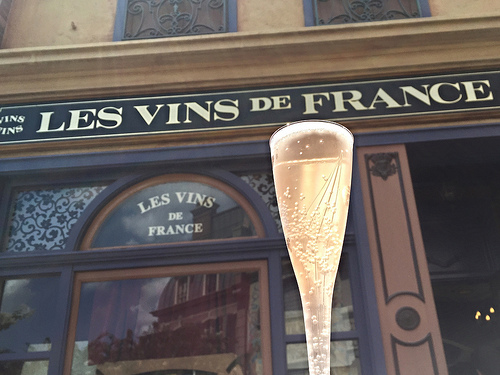 If you enjoy wine, Les Vins de France does pours of french wines and champaigns. The Les Vins des Chefs de France kiosk also sells the popular Grand Marnier and Grey Goose Orange Slush and Grey Goose Citron Lemonade Slush, which are perfect on a hot day. Eat: Les Halles Boulangerie-Patisserie offers traditional French bakery fare with a twist like the Dinde B.L.T., with turkey, bacon, lettuce, tomato and garlic aioli, and Jambon Beurre, with ham, cheese and Dijon mustard butter on a demi baguette. You can also grab a crepe at the Crepes des Chefs de France kiosk, which serves chocolate, strawberry preserve, sugar or ice cream crepes. "France is by far my favorite country. The level of detail, beauty and culture verge on breathtaking. Of course, I've always had a soft spot for French culture and it is represented quite well in the pavilion. There are multiple walkways that allow guests to find little nooks to escape into. The scents are captivating, the food is decadent and artful," said Dani Dennison-Perez (@thisfloridalife). "The bakery and ice cream shop in France are top-notch. They also have the best specialty drinks," said Jason Schuck (@SchuckJH). "My favorite drink is the Grand Marnier slushee." Drink: The bar at Spice Road Table is a great place to sample some Moroccan and Mediterranean beers like Casa, Efes and Mythos. The full-service bar also offers signature cocktails, wine flights and aperitifs. Try a Moroccarita, which is vodka, lemon, lime juice and triple sec. Eat: For a quick bite with Moroccan flavors, head over to the Tangierine Cafe for a Mediterranean Chicken, Falafel or Lamb Wrap. "Morocco is often overlooked but it's the most detailed of the pavilions with winding paths and intriguing courtyards. The cast members here are often the friendliest of any on Disney property," said Dani Dennison-Perez (@thisfloridalife). 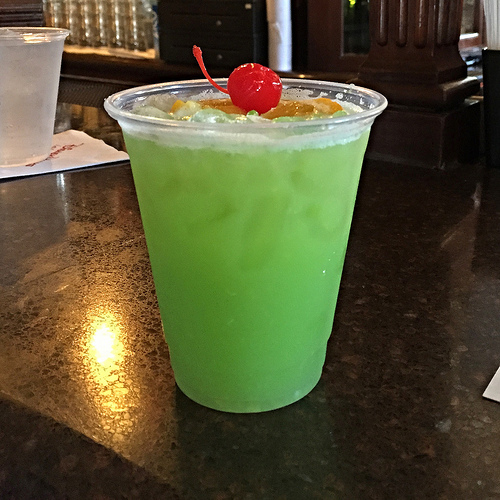 "The bar at Spice Road Table, along World Showcase lagoon in the Morocco pavilion, has no seating and it's basically just the lobby area of the restaurant, but they have a full bar and can make nearly any drink your heart desires," said Dani Dennison-Perez (@thisfloridalife). "The new bar in Morocco is my favorite and is a hidden gem," said Jason Schuck (@SchuckJH). 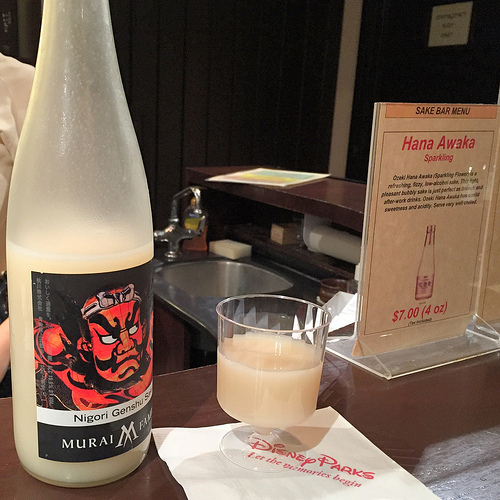 Drink: In the back of the Mitsukoshi Department Store, you'll find the Sake Bar where you can find a large variety of Japanese spirits like Ginga Kogen Beer, Hana Awaka sparkling sake, Yuzu Umeshu Kishu plum wine and a wide selection of hot and cold sakes. 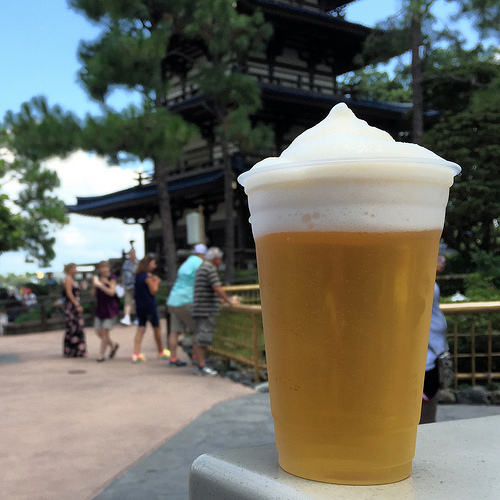 At the Kabuki Cafe, beer aficionados will find Kirin, Asahi and Sapporo, as well as Kirin Frozen, which is a Kirin Draft topped with an icy foam, also made from Kirin, that helps insulate and keep the beer cold. Eat: Katsura Grill is perfect for a quick bit and has Japanese favorites like sushi, udon and teriyaki. Insider Tip: "Japan has a sake bar in the back corner of the sprawling Mitsukoshi department store that many people overlook. It's a semi-hidden gem that offers some of the most unique sake options," said Dani Dennison-Perez (@thisfloridalife). 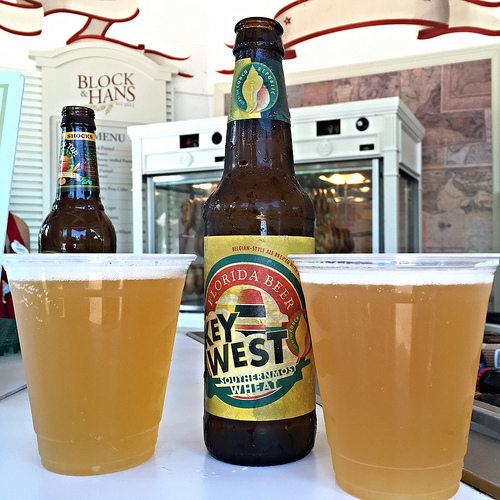 Drink: At Block & Hans, guest can find a selection of American craft beers like Key West Southernmost Wheat and Bell's Oberon Ale. Eat: Grab a jalapeno-and-cheese-stuffed pretzel from Block & Hans, a turkey leg from Fife & Drum Tavern, or a funnel cake from the Funnel Cake stand. Insider Tip: "Don't miss the Voices of Liberty that perform in the rotunda of The American Adventure building," said Dani Dennison-Perez (@thisfloridalife). "Also, be sure to look for characters along the pathway to the left of the Disney Vacation Club kiosk. You can often find characters doing impromptu meet-and-greet-sessions there." 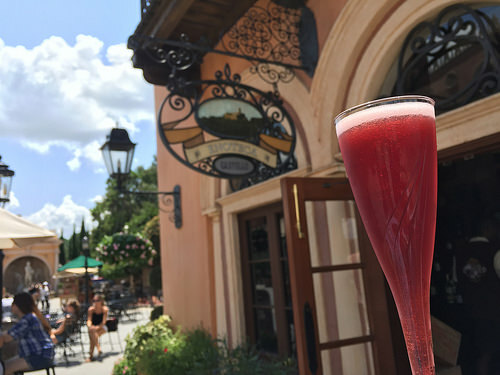 Drink: Grab some Italian beer, wine or frizzante (champagne) at La Bottega Italiana or venture deeper into the Italy pavilion and head over to Tutto Gusto Wine Cellar for some Italian Sangria, specialty cocktails and small plates. Eat: Drop by the Gelati kiosk for a Gelato Sandwich, gelato sandwiched between two chocolate chip cookies, or a more classic Italian treat like a Cannoli. Insider Tip: "In Italy, if you get the Rose Regale (and you should), pair it with a piece of dark chocolate, just $.50, from the little shop right behind the wine bar. 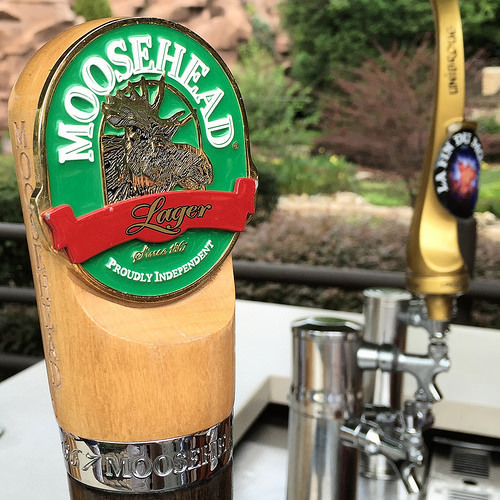 The combination enhances both flavors," said Jason Schuck (@SchuckJH). 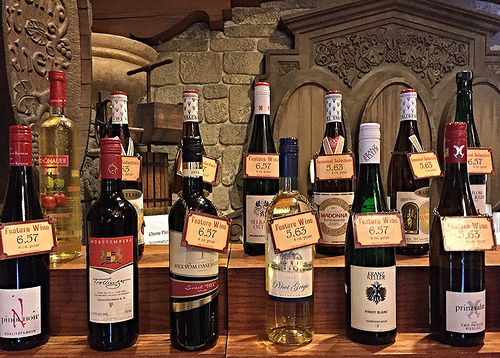 Drink: At the Weinkeller store, you can sample different German wines and beers. You can also purchase bottles to take home with you. The beer cart also offers a wide selection of German beers like Warsteiner Dunkel and Schöfferhofer Pink Grapefruit Hefeweizen. Eat: Go for a bratwurst or an authentic hand-twisted pretzel at Sommerfest. "On the savory side, the mac and cheese in Germany (Nudel Gratin) is a huge, delicious portion for a very reasonable price," said Jason Schuck (@SchuckJH). Insider Tip: "Germany is my second favorite country because it recreates a warm, inviting storybook town square. This pavilion definitely becomes my favorite during the holiday season. Most of our American holiday traditions originated in Germany and the pavilion comes alive with an Old World festive spirit during the winter holidays," said Dani Dennison-Perez (@thisfloridalife). Drink: At the Joy of Tea, you'll find cocktails like the Canto Loopy with vodka and cantaloupe juice, and Tsing Tao beer. Eat: The Lotus Blossom Cafe offers some quick bites like chicken potstickers, shrimp fried rice and orange chicken. The Joy of Tea kiosk also has tasty eats like Chinese barbecue pork buns and egg rolls. Insider Tip: Save some time to explore the House of Good Fortune store tucked in the back of the China pavilion. Drink: For beer, you'll find Einstök Icelandic White Ale and Carlsberg on draft at the beer cart in Norway. 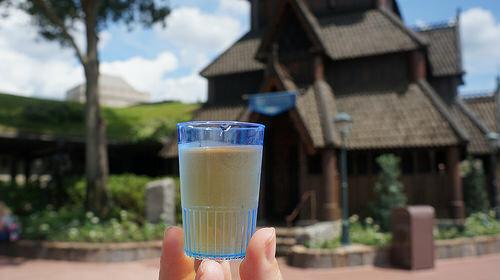 For those brave enough, you can also get shot of Linie Aquavit. "Linie Aquavit is similar to vodka, with a strong taste of spice and herbs. It had a little bite to it, but definitely a unique flavor," said Dani Dennison-Perez (@thisfloridalife). Eat: Try the School Bread, a sweet cardamom bun filled with vanilla crème custard and topped with glazed and toasted coconut, or one of the many sandwiches offered at Kringla Bakeri Og Kafe. Drink: The Margarita Kiosk (@MargaritaKiosk) in Mexico offers a wide range of margaritas, like the Patron Lime Margarita, Milagro Pomegranate Margarita and frozen margaritas with lime, strawberry and mango flavors. At La Cantina de San Angel you can find more margaritas, like the Patrón Cranberry Margarita on the Rocks, and Mexican beers Dos Equis Lager and Modelo Especial on draft. Be sure to check out La Cava del Tequila (@cavadeltequila) located inside the Mexico pavilion for great cocktails, beer, wine and over 200 different tequilas. Eat: For a quick bite, check out La Cantina de San Angel for tacos, nachos and empanadas. Don't forget to order some churros for dessert. 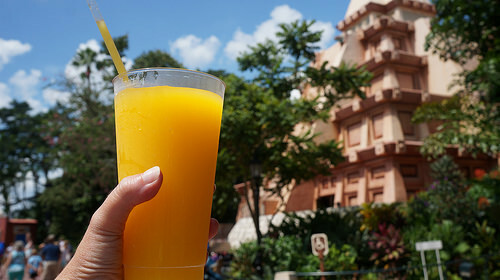 Insider Tip: "Mexico hosts my favorite bar in Epcot: La Cava de Tequila. The cast members here are extremely passionate about tequila - they are truly experts," says Dani Dennison-Perez (@thisfloridalife). "If you're a Starbucks junkie, you must try the coffee/mezcal margarita at La Cava," said Jason Schuck (@SchuckJH). 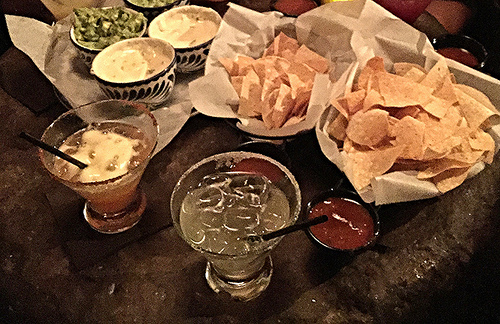 "Also, don't be afraid of the jalapeno margarita at La Cava. They take the seeds out so you get the amazing flavor without the heat."